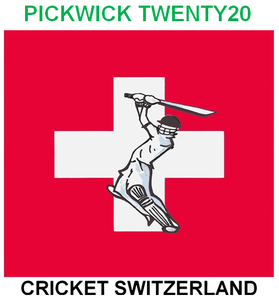 Geneva Sri Lanka Cricket Club (GESLCC) won their first home victory in the official Cricket Switzerland championship when they defeated GICC on Sunday 5 July at Bout du Monde in the Pickwick Cup T20 championship. With the temperatures reaching unimaginable 39°C for Switzerland, GESLCC won the toss and decided to bat. The decision of the captain was totally justified by the openers who put on a massive 147 runs partnership. Dugal scored a magnificient 85 and Sanjeewa scored a stylish 54. The loss of Sanjeewa only made things worse for GICC , with Uddika joining the party and hitting 5 massive sixes and GESLCC finished the innings on a massive 207/4 in allocated 20 overs. After a short break GICC came into bat but were not in the chase at any point of the game after losing quick wickets. They finished on 144 /8 in their allocated 20 over, falling well short of the victory. Gor GICC, Sanket was top scorer with 48 runs followed by Obaid whoi made 32.